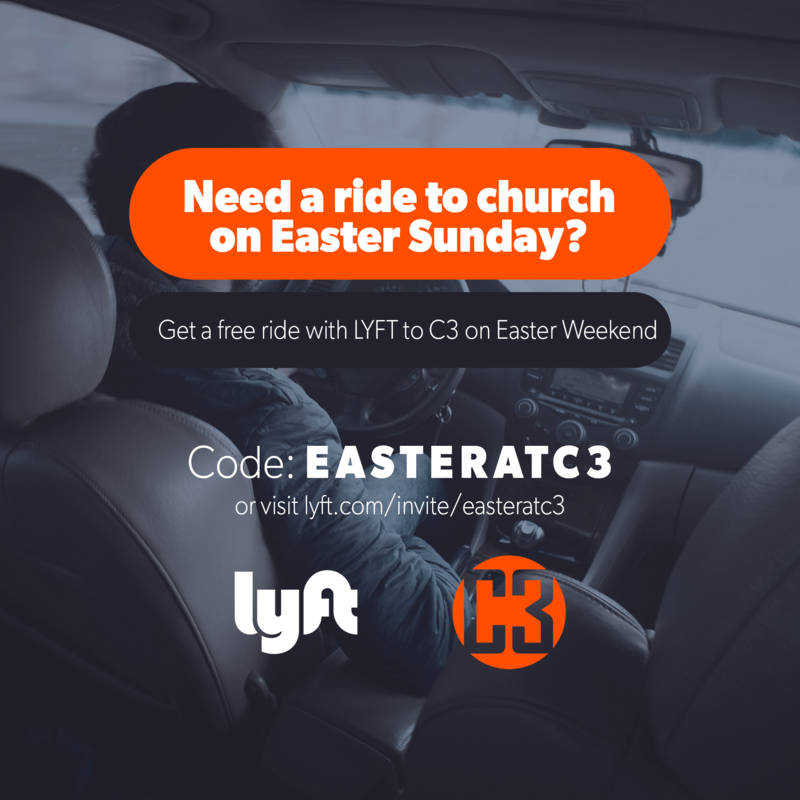 We are providing free rides through Lyft for our four Easter Services this Weekend. 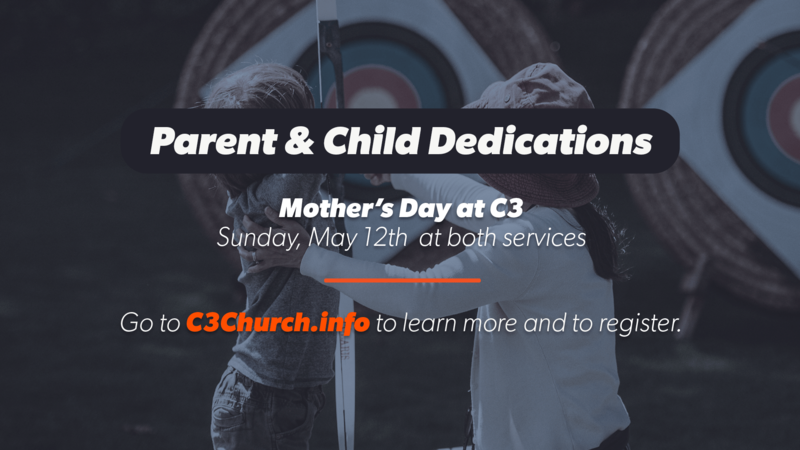 We are having Parent & Child Dedication on Mother’s Day at C3. So, what’s child dedication all about? First, even though it’s called a child dedication, it’s really more about the dedication of the parents and our church. Most of the children are too young to make a decision to follow Jesus right now, but as parents you may want to dedicate your child to God by committing to raise them in a God-honoring home. We also want to commit as a church to help you along the process by praying and supporting you and your family. 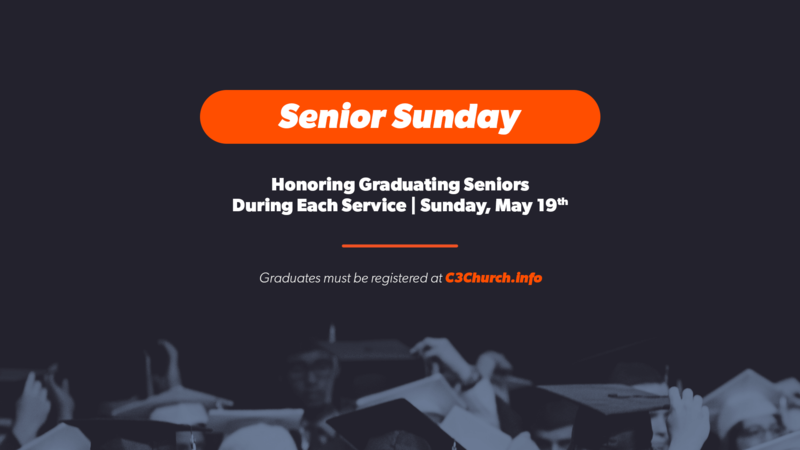 We’re honoring graduating seniors during our services on Sunday, May 19th. If you would like to be recognized during Senior Sunday, or you would like to have your child recognized, register today. 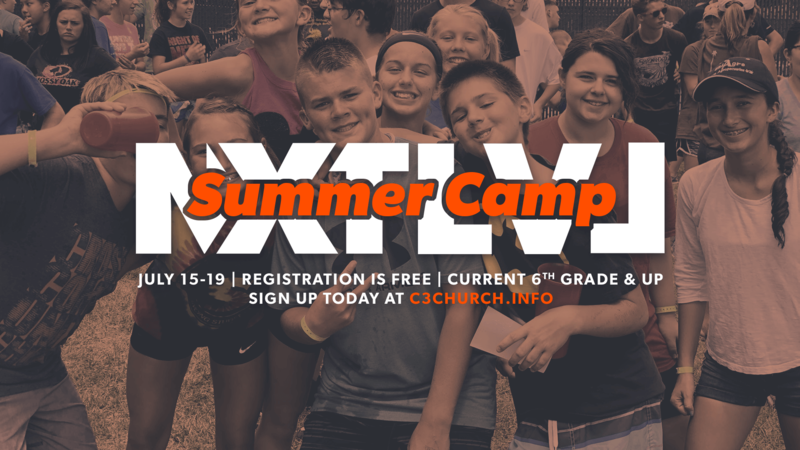 Camp is an incredible opportunity to hang out, learn about God, and have a lot of fun. The camp is Seneca Lake Baptist Assembly with a huge pool, paddle boats, tournaments ranging from basketball and soccer to Uno. For CURRENT 6th graders and up. Easter will be here in a few short weeks and with everything going on in our busy lives, it can be really easy to completely miss what the holiday is all about. Easter communion is a time for us to remember what Easter is all about. Join us for Easter Communion on Wednesday, April 17th at 6:30 pm to spend an evening remembering What Jesus has done on the cross for all of us. Every child deserves the opportunity for a good night’s sleep. While we are passionate about sharing God’s love with our local community, it’s clear from God’s Word that all Christians are to be a part of sharing God’s love to the entire world. We are developing strong global partnerships with missionaries and organizations around the world that share our values. These are partners we will not only support financial, but we will build relationships, take short term trips, and much more through these global partnerships. Are you looking for fun things to do with your family this Easter season? C3’s Easter family night is the perfect free event to bring the whole family to. NXT LVL students, join us this Friday afternoon for our first annual NXT LVL Olympics! There will be 4-on-4 flag football, basketball and volleyball, olympic races and more! We can’t wait to see you there!